Pepperdine University from Malibu, CA, United States, will attend the Romanian International University Fair (RIUF) for the eighth time. RIUF is the largest international education event in Romania and in Eastern Europe counting over 15,000 visitors interested in study-abroad programs and almost 200 individual exhibitors over the 7 editions so far. The list of exhibitors is impressive, so the visitors will most likely find the suitable programs of study to fulfill their professional ambitions. 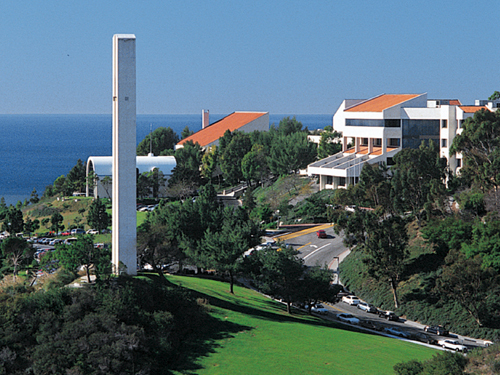 Pepperdine University offers graduate and undergraduate programs in its main Malibu campus and in other places in the U.S. and abroad. As a Master of Public Policy Alum, I am going to offer information and counseling regarding the admission process, life on campus, professors, staff, classes, life in the Los Angeles area, scholarship opportunities, and career development. The prospective students who will show great interest in submitting applications, will benefit from an increased supervision and counseling from the Pepperdine graduates in Romania, when working on their application documents. RIUF is taking place at Sala Palatului, during March 12-13 (Bucharest). We will be there!